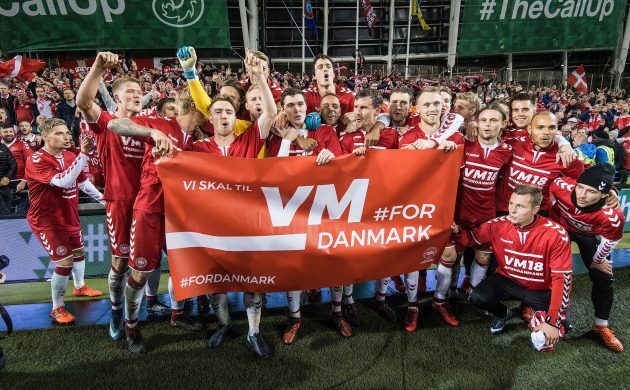 With the World Cup in Russia just weeks away, Denmark coach Åge Hareide cut down the Danish squad from 35 to 27 on Sunday night. The eight players who failed to make the cut were Riza Durmisi, Pierre-Emile Højbjerg, Kenneth Zohore, Jesper Hansen, Mathias Jensen, Robert Skov, Nicolai Boilesen and Daniel Wass. A further four will have to be cut before the tournament starts, and it is being speculated that this might include striker Nicklas Bendtner, who was injured in a game for his club Rosenborg yesterday evening. There’s no doubt FC Copenhagen has endured a lacklustre season. The defending champs ended up fourth in the Superliga, well behind winners FC Midtjylland and second-placed Brøndby. But the season ended on a good note as the Lions beat Aarhus GF 4-1 in the Europa League playoff game, granting them entry to European football for the 18th year in a row. FC Midtjylland will participate in the Champions League qualifiers, while Brøndby and FCN will join FCK in the Europa League qualification. The Jutland trio of Vejle, Esbjerg and Vendsyssel will all be in the Superliga next season following a dramatic promotion/relegation playoff series. Vejle secured automatic promotion by virtue of winning Division 1, while the other two teams won their respective playoff games against Superliga foes. Esbjerg beat Silkeborg 3-1 on aggregate, while surprise outfit Vendsyssel beat Lyngby by the same aggregate score line. Meanwhile, Helsingør was already doomed to join Silkeborg and Lyngby in the second tier next season. The Superliga may have only concluded yesterday, but there’s already transfer news trickling in. FC Copenhagen has signed Swedish defender Sotirios Papagiannopoulos from Östersunds FK, but the club has been rocked by news that Swedish defensive stalwart Erik Johansson wants to return home. Elsewhere, defender Erik Sviatchenko had made his loan move from Celtic to FCM permanent and Brøndby has snapped up right back Jens Martin Gammelby from Silkeborg. The Danish tabloid BT revealed today that inspirational midfielder Thomas Delaney is close to a move away from his Bundesliga club Werder Bremen. According to sporting director Frank Baumann, a number of clubs are interested in signing the 26-year-old, including a club from the English Premier League. Previously, Borussia Dortmund had been mentioned as being interested. Baumann said that the club would wait to sell with the World Cup around the corner. Delaney joined Werder Bremen from FC Copenhagen in January 2017 and quickly became a fan favourite for the Bundesliga side.